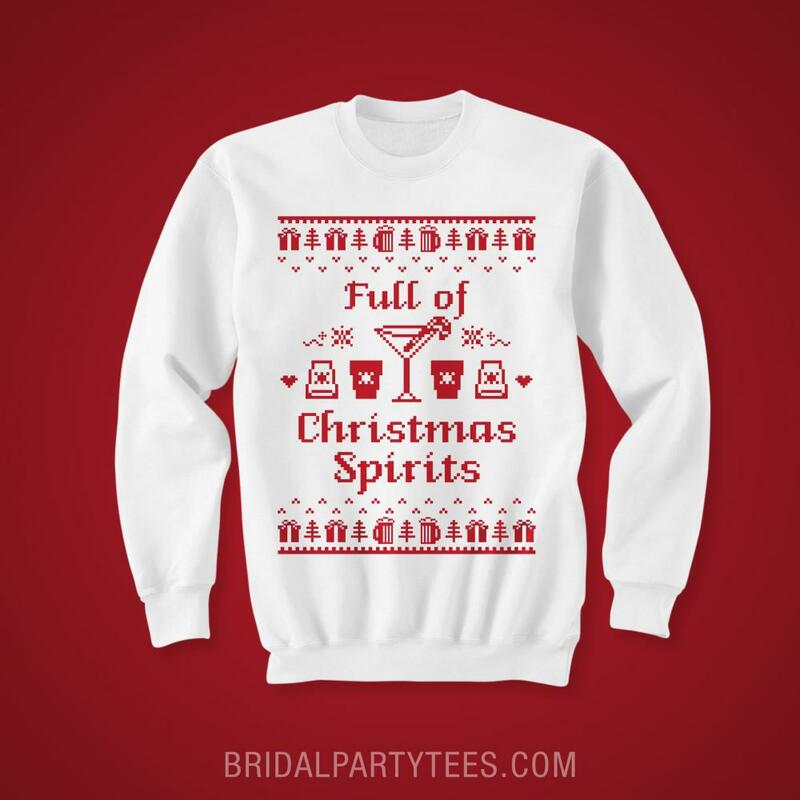 The bride to be is full of Christmas spirits! 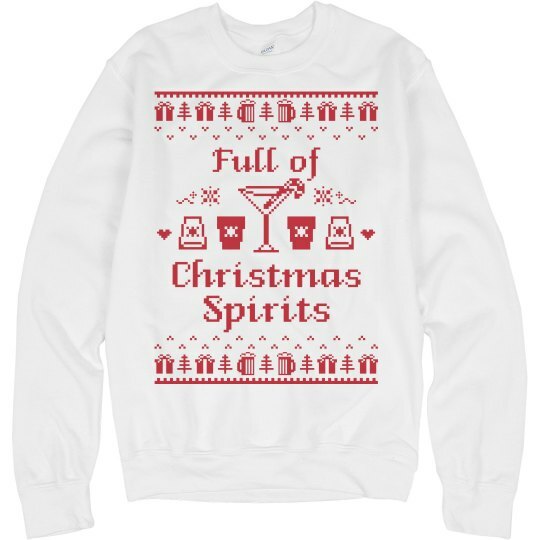 Drink with your family and friends in this funny ugly Christmas sweater. 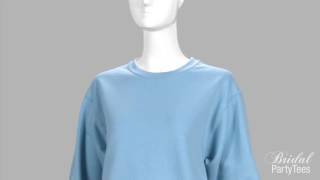 Martinis, shots, beer and presents! It's going to be a wonderful day for the bride!